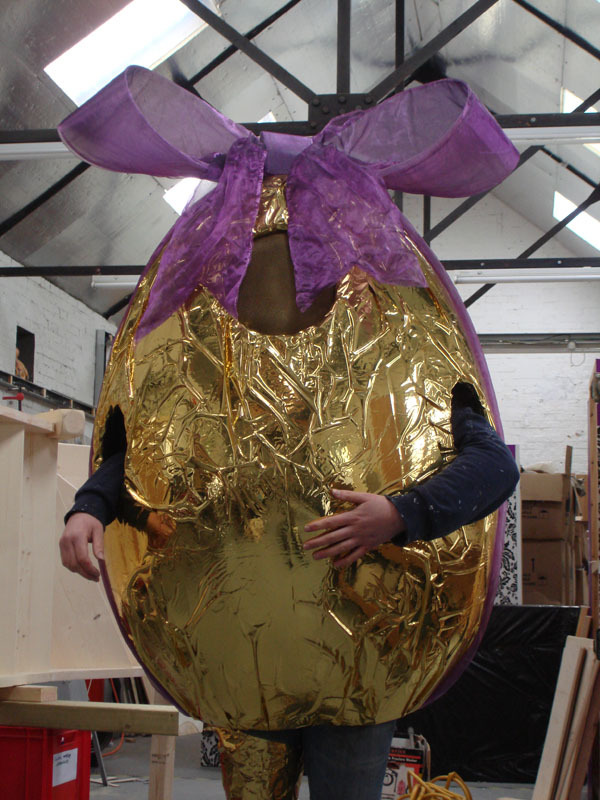 One of our star prop makers Meg has been busy this week making a glorious golden easter egg costume for a client in Brighton. 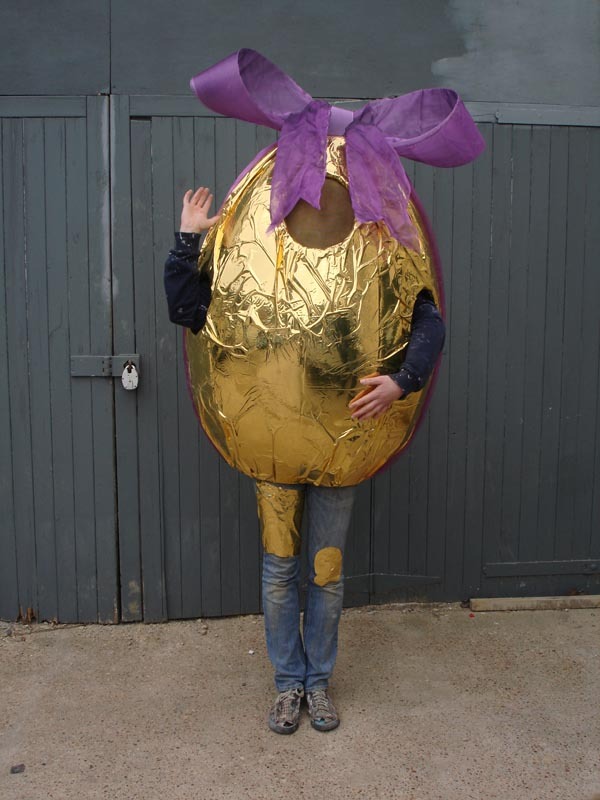 She constructed this fabulous piece of fancy dress from foam and finished it with a gold chrome vinyl which looks just like gold foil. We’re all pretty pleased with it if that’s not too bold. 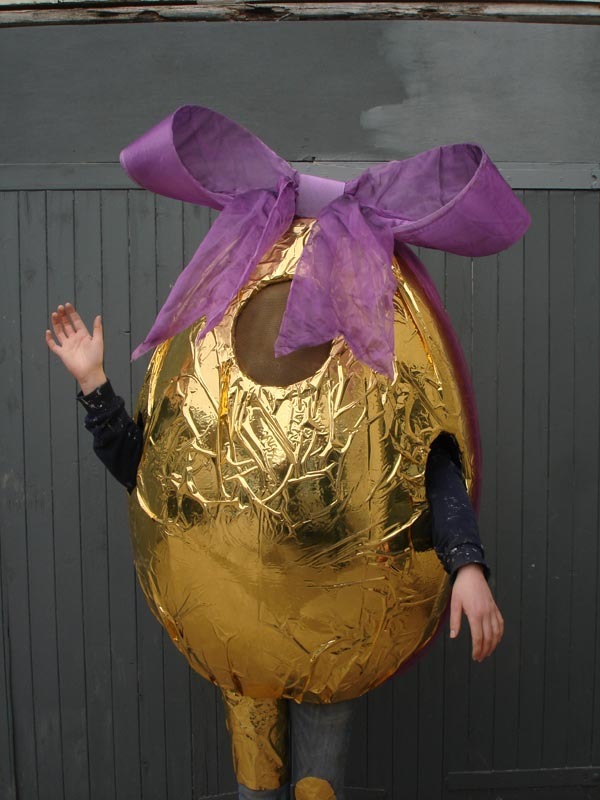 Marketing campaign company Create.net are using it to star in a grand Easter Egg hunt to win an iPad. You can catch up with the hunt on youtube and twitter…..